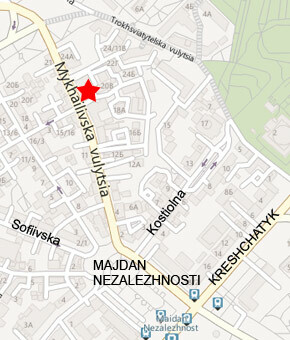 Home > One-room and studio apartments > 22 Mykhailivska street ap. 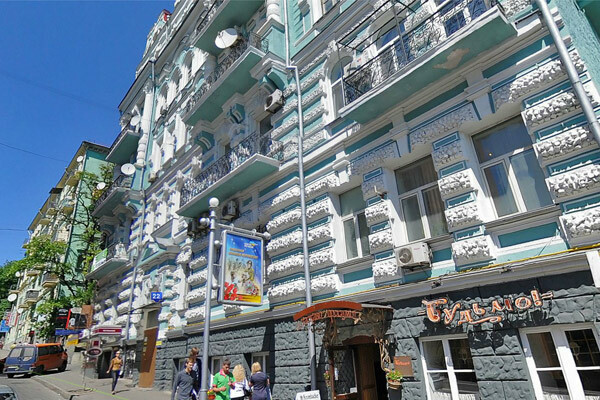 This apartment is perfectly located on the one of oldest streets of Kiev - Mykhailivska, which connects the main square (Majdan) with historical complex of St. Michael's Golden-Domed Monastery and further located Andriyivsky uzviz or sightseeing alley. Distaance to Kreshchatyk street - no more than 3-4 minutes walking.One of nicest city parks - Volodymyrska Hirka is just a few steps away from the building. There are many tyny restaurants and eateries along with grocery stores around. One of the best pubs of Kiev - Irish O'Briens pub is situated just on the opposite side of the street. To recap, this location is simply perfect for all guests and tourists, coming for business purposes or just traveling. This one-room apartment is located on the 2nd floor with a lift for convenience. It is situated between Mikhailivska Square and Independence Square (Majdan) with plenty of choices in restaurants and shops. The 42 sq. meter space is just a 3 minute walk to Vologymirska Hirka, the city park where you can take a walk on a warm day. This space is stylish with warm colors and a sophisticated design. 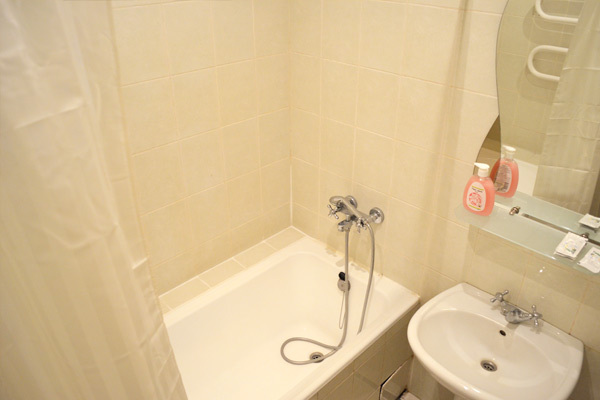 A full kitchen provides all appliances while the bathroom has a tub/shower combination. A king-sized bed provides plenty of sleeping room while a comfortable sofa adds seating for guests. Hardwood floors add a touch of modern sophistication to the environment. Large heavy drapes block out the lights and noise of the outside when you want privacy. You are just a short walk from the busy nightlife of the city centre. You can also choose to spend an evening at home with the cable/SAT TV and high-speed internet with Wi-Fi. The building is guarded for added security so you can feel safe. The space is not far from the local station that will take you anywhere you need to go in the city. This is the ideal space for young professionals who enjoy the busy activities of downtown. 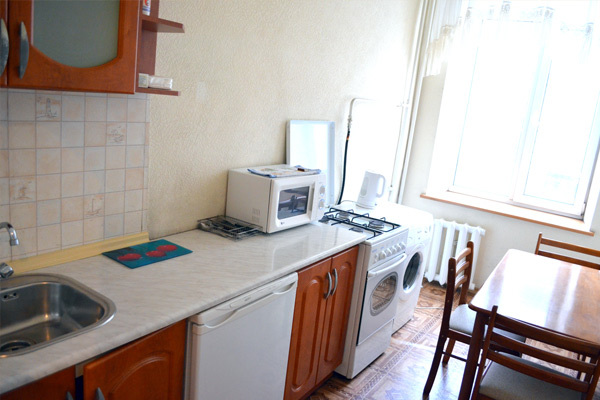 All kitchen appliances, including gas stove and microwave oven.